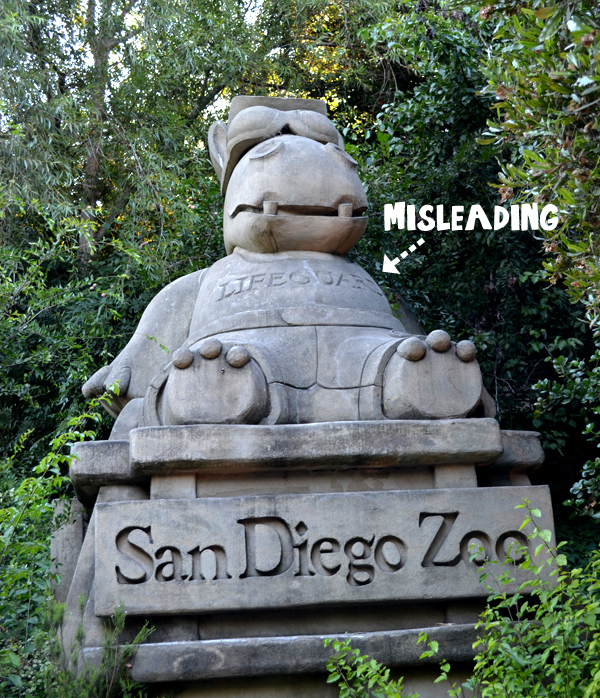 Any time I told someone that I was going to San Diego, I was promptly informed that I had to visit the San Diego Zoo. Tina admonished me for not knowing it was THE BEST ZOO in the world. 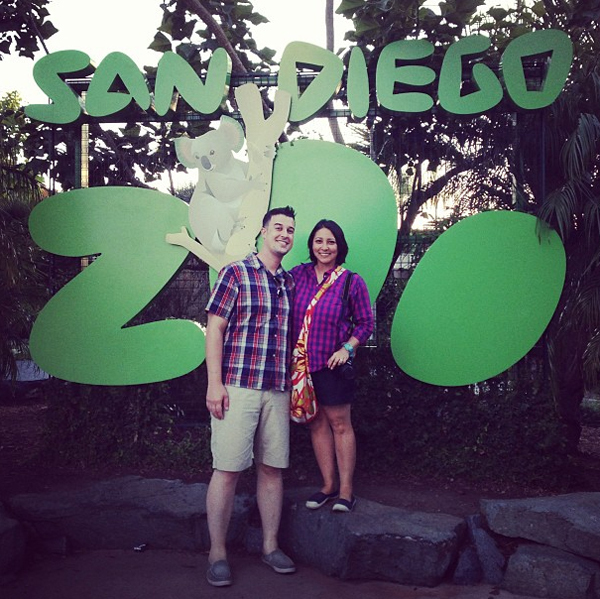 So it seemed fitting on my first day in San Diego that we go to the zoo. 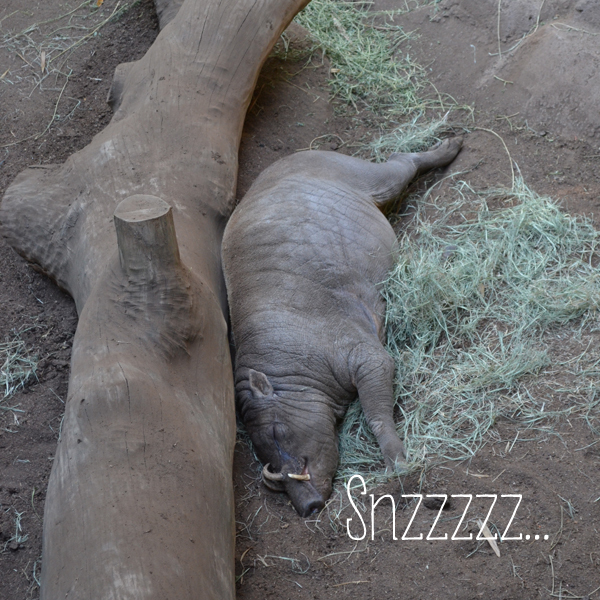 There was the usual activity you expect at the zoo. Lots of sleeping. 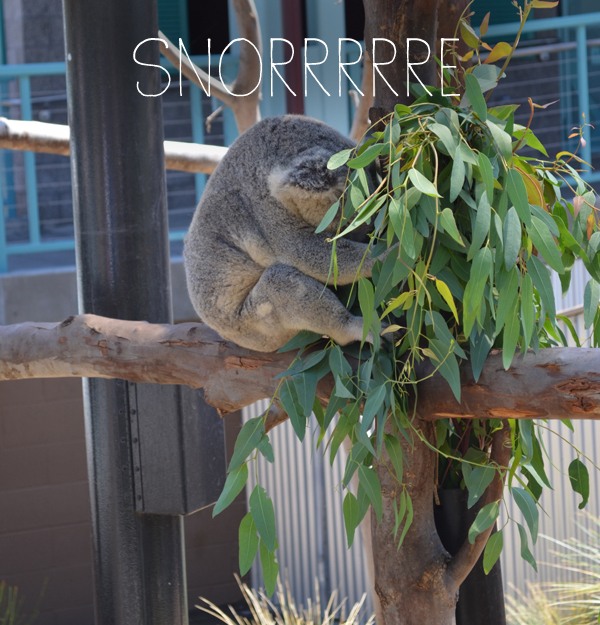 I wasn't sure if this guy had a bad day, but decided that he was really just snoozing. 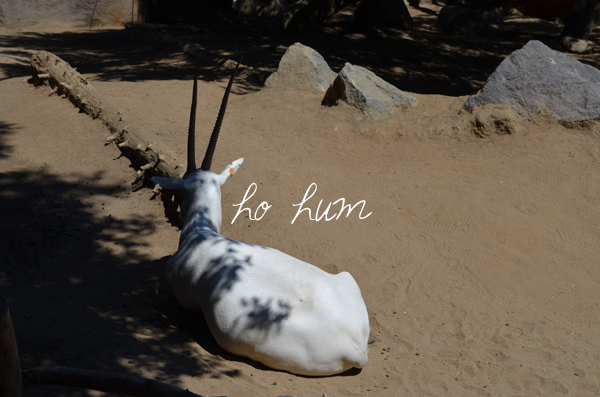 Of course the animals that weren't sleeping were busy ignoring us. That's fine. I mean we are the ones there staring at them while they try to carry on about their business, so no pressure. It's ok. I exaggerate. There were plenty of animals up and about. 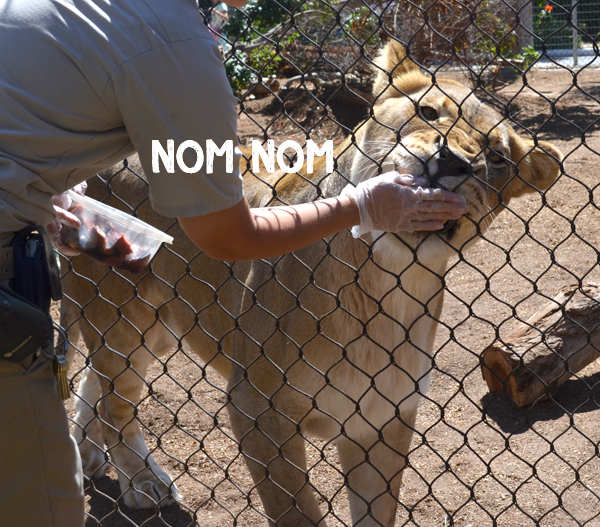 We got to see the lions being fed big juicy pieces of meat thought the fence. Whenever I see lions or tigers I am impressed with how Stewie-like they are. The hippo graced us with several swim bys too. Don't be fooled. 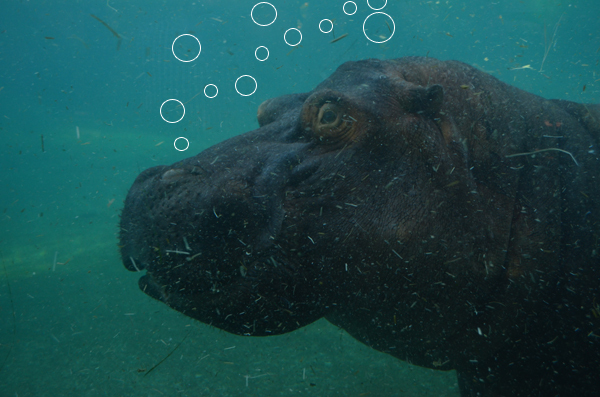 Hippos do not wear lifeguard t-shirts or sunglasses. And then the highlight. 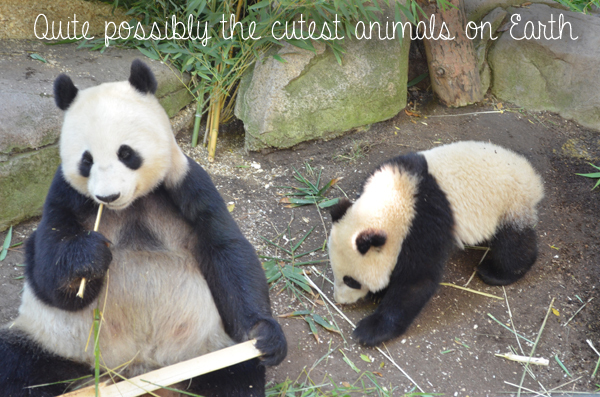 THE PANDAS! And they were RIGHT THERE! So close. 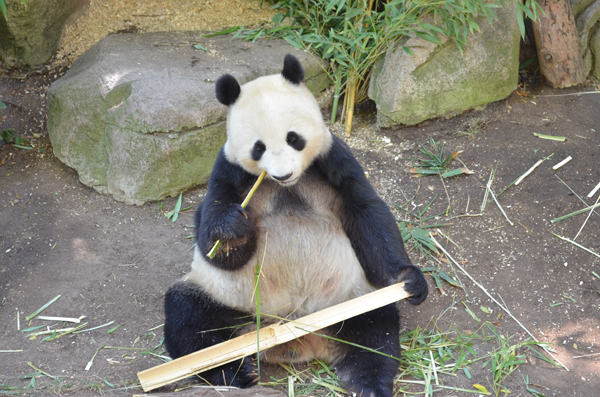 Munching away on the driest looking snack, bamboo. Boy they love it. 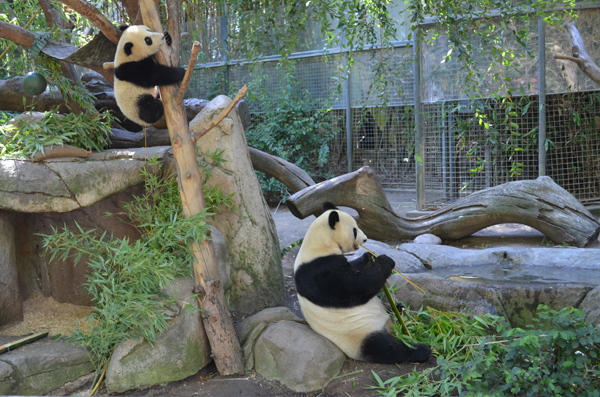 We spent a long time watching them roll around and chew bamboo. 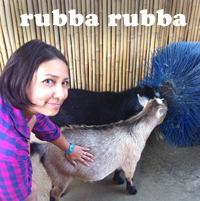 Before we left we stopped in the petting zoo and rubbed some tubby pygmy goat bellys (evidence pictured here). This is where I got the funniest shot of the day. Aaron using a wee little sink. Hah hah! We meant to spend a few hours. We were there all day. 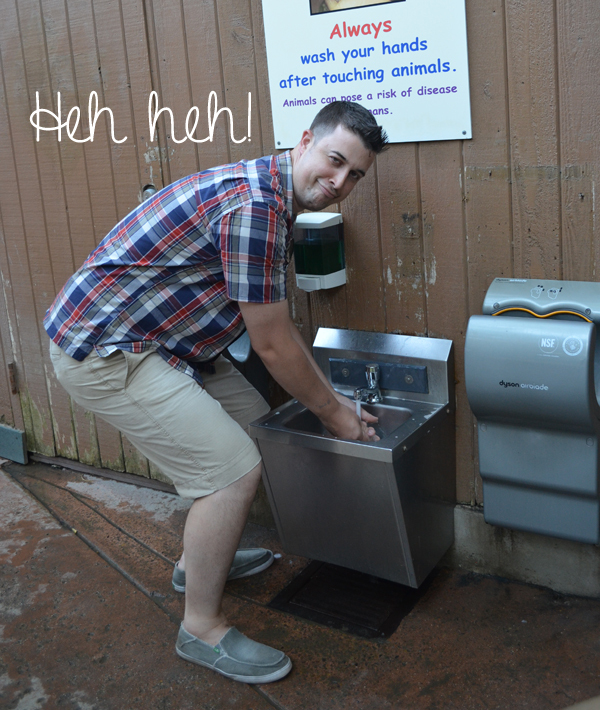 So yeah, it's a pretty great zoo. After the zoo we went to Ocean Beach to eat fish tacos and walk out on the pier. Fab day. I love San Diego! My son lives out there and we go as often as time permits.